I have always been a gardener in my heart but there was much more to me than that. I felt a deep sadness in the universe and could never really articulate what it meant, but I knew I could relate to plants in a way I could not relate to people. My parents were artists and expressed an obvious appreciation for nature. We spent a lot of time traveling and camping and exploring new parts of the country. Every year we would head to a new destination and along the drive my parents noticed each and every nuance that made the new landscape we were traveling more interesting. My Father (much like my Grandfather) was a hard man. He was very talented and wise in so many ways but emotion was always hard for him (still is), but he noticed every rock, every flower, leave and butterfly, and the softness I felt from him when he admired nature was inspiring to me. Nature is the most sincere art form. The basis on which every painting, sculpture, architecture and design ever created was inspired. Nature is the truest, purest form of life as we know it. Growing up I had a difficult time (and sometimes still do) relating to people. When I had a difficult time in my life or a frustrating day, I went to my garden. I found peace there. I was never judged or misunderstood, and my presence was always appreciated. As I grew older, married and raising my children, my garden was a place where I could share my talent, embrace my failures and speak to my plants when no one else would listen. I found the news more and more disturbing and I watched over the decades as a culture of people seemed to be further and further from nature. I found myself feeling more disconnected and angry. I misdirected my energy in a very counter-productive way and found myself being part of the problem. Many years ago after complaining to my husband about a neighbor’s ugly, neglected yard I had an epiphany. How was my behavior making this a better place to live… Well, I was a good wife and mother, I was organic, I recycled before it was cool, I offered help when it was asked, I was charitable, I volunteered, but something was missing. I wasn’t being charitable in a way that made me feel good, I did it because I felt that is was something I should do. After the ugly yard incident I mentioned to my husband that I wanted to go over and teach them how to make their space more beautiful for themselves not just for the neighbors… and it hit me, I had found my calling. I was actually really excited about the opportunity to make a difference in a positive way and that lead to a door opening for me that I hadn’t even imagined. It turned out to be the beginning of something so much bigger than I. With the total support of my husband and family I would go back to school, self-educate, read, become a Master Gardener, and volunteer my way into the career I now wanted. In the process I was sure to remember that the people I teach in turn teach their neighbors, their children, their families and so on. I decided that instead of complaining about the mistakes people made, and being angry that there was so much to change, I was going to “Save the Planet One Yard at a Time.” while teaching my community to be organic, to choose native plants and to conserve water, to do better for themselves and for our planet. I was pleasantly surprised to see that people did want to do better and they did care about the planet. When they knew better, they did do better. I began to be drawn to like-minded thinkers and my new outlook had changed me for the better. Now when I read the news, I am inspired instead of just heartbroken, not because the news is good, but because I take the information I hear to educate myself and others on the topics and I use that information to learn how to do things better for the planet, for myself and for my business. I feel fulfilled by my calling and I feel inspired by the people I work for and the neighbors I help who are excited about the knowledge and in turn teach me. I sleep well at night knowing my heart is in the right place, I make an honest day’s pay, I am serving the community, both with time and information and I know that I am making a difference. 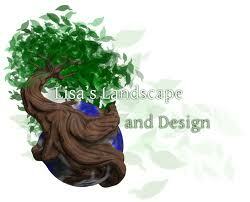 Great job Lisa…that was beautiful! You have a way with words. Thank you…It is good therapy 😉 Helps keep me grounded.